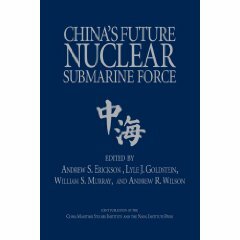 Andrew S. Erickson, “New U.S. Maritime Strategy: Initial Chinese Responses,” China Security, Vol. 3, No. 4 (Autumn 2007), pp. 40-61. The United States unquestionably remains the country with the largest stake in the security of the oceans. It must safeguard its 8.8 million square kilometers of exclusive economic zone (EEZ) – more than any other nation in the world–and nearly 21,000 kilometers of coastline. Most importantly, the United States still operates the world’s most advanced maritime forces and largest economy–one deeply dependent on overseas commerce in a world where a staggering nine-tenths of all trade and two-thirds of all petroleum is transported by sea. Enter China. 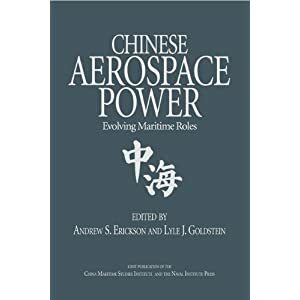 This increasingly capable and influential nation is acquiring a growing interest in maritime security and commerce, which are essential to its national program of “peaceful development.” China arguably already possesses the world’s second largest navy and largest civil maritime sector. A new era of shared stakes in the global maritime commons is upon the two nations. 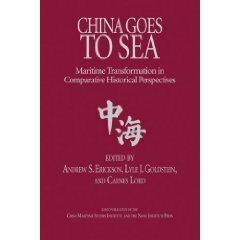 How China and the United States interact on the high seas will be of enormous import to their respective futures and that of the international system. 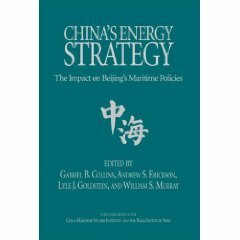 The United States is forging a new path with the recent promulgation of a new maritime strategy and China’s reaction to it will significantly impact its direction and even perhaps its realization and success.